Porto is one of my favourite places in the world. It is visually stunning, has streets with character, excellent restaurants, friendly people, and Port wine! I would recommend against using wheeled luggage if visiting Porto, as the bulk of the city is on a hill, meaning to get anywhere you are either walking upwards or downwards. A place to go in Porto not mentioned below is Livraria Lello & Irmão, an iconic bookstore frequently rated as one of the best bookstores in the world. If visiting here, make sure you get there early. They are very strict on photography, you are not allowed to take photos once the store opens at 10am. This means if you arrive there at 9am, they will open the doors early to allow people to take photos inside. My favourite street in Portugal is Rua dos Caldeireiros. It is the hipster cool road of Porto containing many small wine bars, vintage shops and restaurants. It is a steep road, meaning going down is easy, but getting back up is quite the exercise. The best of these is Miss Opo, it is a guest house (good for budget travellers), shop, café and restaurant. It is a creative place, as they have a partnership with local photographers, jewellery creators and fashion designers. A fine dining experience, where the menu is given as a book, its dark atmosphere and good food is perfect to finish an evening of exploring the city. The service was so good that I visited there twice. Unless you are taking a train from the station, there is not much to do here apart from admiring the tiled walls. The station lies in the middle of the city centre, so be sure to visit this station if you are around. Watch out for pickpockets when around this station. I noticed a few suspicious people staring at others who were gazing at the walls. 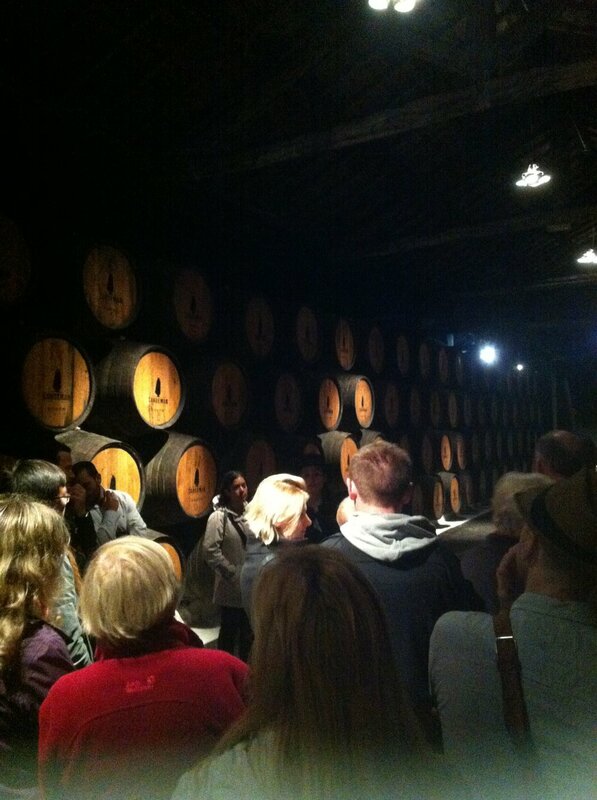 When many people think of Porto, they think Port wine. Across the river there are many wine makers, and you have a choice of multiple wine tours to visit including Espaço Porto Cruz, Calem, Graham’s and Sandeman. One of the oldest of these is Sandeman. It's distinctive logo of the "Don" dressed in a Portuguese student's cape and a Spanish hat is something that will last long in your memory if you haven't encountered it before. There is a major problem with this sports bar. It is named after the football stadium of my rival football team! Apart from this, it is an excellent place to watch sports, have a drink and play some pool. It is located just off the main streets of Porto. Opened in 1921, it is one of the most stunning places in the world that I have visited. It is often very busy, but it is worth the wait. They have outside tables but I would recommend waiting to be seated inside. A direct comparison to Majestic Café in Porto would be Café Central in Vienna. Of the two, I prefer Majestic Café.